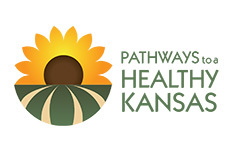 Seward County business leaders and organization executives are invited to attend the Pathways to a Healthy Kansas Business Forum to learn and discuss how to get themselves and their employees involved in efforts to improve the health of county residents. The forum, hosted by the Liberal Area Coalition for Families and Blue Cross and Blue Shield of Kansas, is scheduled for 11 a.m. to 1 p.m., July 18 at the Liberal Area Chamber of Commerce, 4 Rock Island Road in Liberal. Doors will open at 10:30 a.m., with the meeting starting promptly at 11 a.m. Admission is free and a healthy lunch from Bisteca will be provided. Business owners or executives, human resources or benefits managers, corporate health professionals, and worksite wellness team leaders are encouraged to attend in order to connect with others who want to improve the overall health of Seward County. Speakers for the Pathways Business Forum will include Virginia Barnes, MPH, director of Blue Health Initiatives for Blue Cross; Jane Shirley, MSE, BSN, RN, worksite wellness coordinator for Blue Cross; and Sarah M. Mersdorf-Foreman, LMSW, executive director, Liberal Area Coalition for Families. Pathways to a Healthy Kansas is a major community grant program, funded by Blue Cross and Blue Shield of Kansas, that provides community coalitions with the tools and resources needed to remove barriers and engage their communities in ways that enable healthy eating and tobacco-free, active living to become a way of life. As one of eight grant recipients for the 2017-2020 funding period, Seward County may receive up to $500,000 in non-competitive grants for coordination, implementation and achievement during that period. The Liberal Area Coalition for Families is working within the community on the focus areas of community policy, resident/community well-being, the food retail sector, health care, restaurants, schools and worksites. There is no charge to attend the forum, but registrations are requested to assure adequate space and materials. Lunch will be provided. Please register by July 11 by contacting Adriane Hatcher via email to [email protected] or by telephone at (620) 655-7177.